There is actually a profanity in that quote, but I opted not to share it here. You might be hard-pressed to find a more quoted General in the modern era or a General more beloved by his men than General James Mattis. But if you think General James Mattis to be nothing but a blunt, tough speaking Marine, you might be surprised that this man was one of the intellectual giants of modern military leadership. On all his deployments he carried with him in his pocket the readings of Marcus Aurelius to remind him that what he faced in combat was nothing new. His library of books would shame the greatest of historians, and he would exit the modern era as one of the most talked about Generals of his time. James Mattis would receive his commission as a second Lieutenant in the United States Marine Corps in 1972. And while the timing of his commission would lead him to miss out on the fighting in Vietnam, his was a career made for combat. As a young Lieutenant, he would serve as both a rifle and weapons platoon commander with the Third Marine Division. Gradually progressing through the ranks during a relatively peaceful time for the United States Marine Corps, James Mattis would use this time to study the art of war and ensure that the day he was called into combat that he would take the sum of military history with him. As a Lieut. 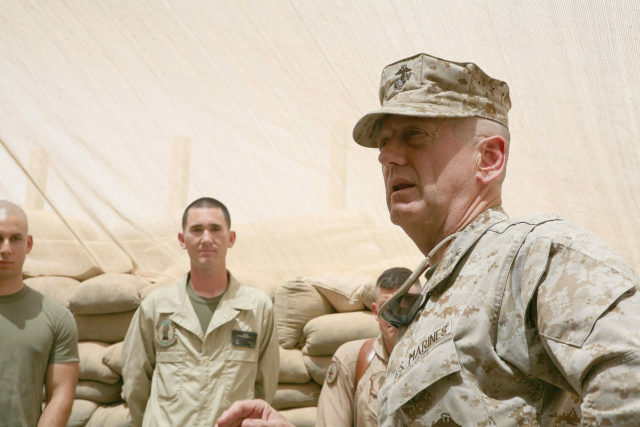 Col., Mattis would command the first Battalion Seventh Marines during the Persian Gulf war. During his first field command in combat, Mattis proved a capable leader and exceptional motivator of Marines when it mattered most. After the Gulf War, General Mattis would continue to prove that he is the type of leader who deserves to be adored by his men. Former Commandant of the Marine Corps General Krulak will often tell the story of when he made his annual trip to visit every Marine duty post around Washington on Christmas Day. When General Krulak arrived at the Marine Corps combat development command headquarters at Quantico, Krulak asked a young enlisted Marine, who was the officer of the day. The young Marine replied it is Brigadier General Mattis. Confused as Generals didn’t stand duty on Christmas, the Commandant asked again and specifically asked who slept in that cot as the officer of the day. The Marine again replied, sir, it was Brigadier General Mattis. At that point, General Mattis walked around the corner and explained that a young officer with a family was originally scheduled for duty on Christmas Day. And to General Mattis, he thought why should this Marine miss out on time with his family when he could stand post in his stead. As remarkable as it was for a General to stand duty on Christmas Day, General Mattis’ true greatness would await him in the coming global wars on terrorism. It was General Mattis who coined the phrase that there is no better friend or no worse enemy than the United States Marine. During Afghanistan, he would see to it that his Marines knew the mission at hand. He was regularly seen on the front lines with his Marines during the conflict, and many remarked they wouldn’t be surprised to awake in the morning to find him in a foxhole. 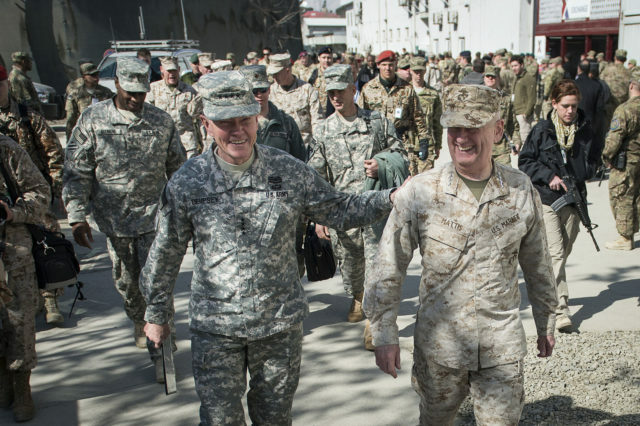 While no one would have thought less of General Mattis had he led from the rear, he saw it his duty to inspire his officers to lead from the front. Gen. James Mattis would actually be counseled over his last quote as the military hierarchy saw it as a little too much Patton and a little less diplomatic for the modern era. However, it would be the long war in Iraq where General Mattis would have the greatest impact. 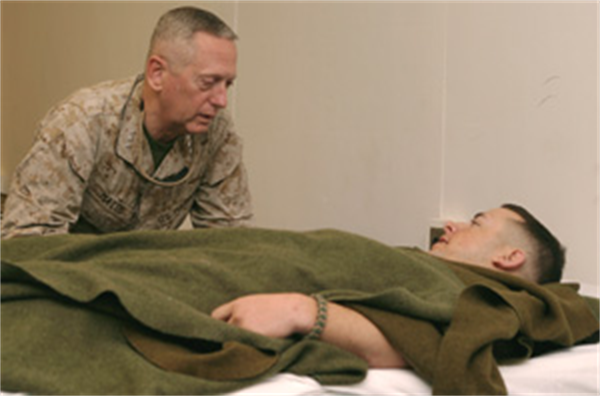 General Mattis would command the 1st Marine Division during the 2003 invasion of Iraq. General Mattis would go on to serve with continued distinction in Iraq and would subsequently find himself placed in positions of high command within the military. A Lieut. General, Mattis would take command of the 1st Marine Expeditionary Force based out of Camp Pendleton California. 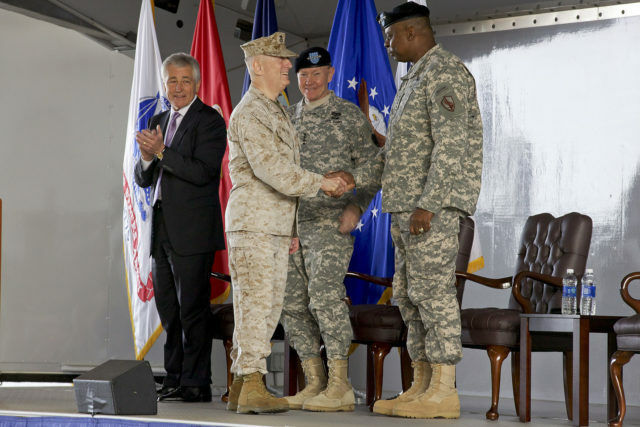 In 2007, he was promoted to full General and given charge of US Joint Forces Command in Norfolk. 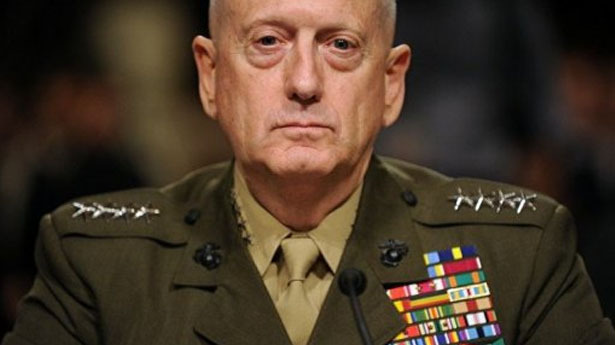 And while many had hoped General Mattis would become the next Commandant of the Marine Corps, he was recommended by Defense Secretary Robert Gates to replace Gen. David Petraeus as Commander of United States Central Command, which oversaw the Middle East. And while the General was beloved by the Marines who served under him and widely respected as an intellectual giant in military circles, the outspoken General would soon find himself out of place with a civilian leadership who opted for calmer rhetoric. It is reported that General Mattis found out that he was being relieved of Central Command by the press. Regardless, it led to his subsequent retirement in 2013. Perhaps the General who once said, “Find the enemy that wants to end this experiment in American democracy and kill every one of them until they are so sick of the killing that they leave us and our freedoms intact” was too much for others to handle. One can only hypothesize what General Patton would have added to the great quotes of military history had he lived on long past the war. But with General James “Mad Dog” Mattis, there was never a moment where he left the world wondering what he was thinking. An intellectual giant loved by the Marines whom he saw it his duty to serve with tough love, perhaps this man is indeed the General Patton of the modern era. But that is for history and posterity to decide.